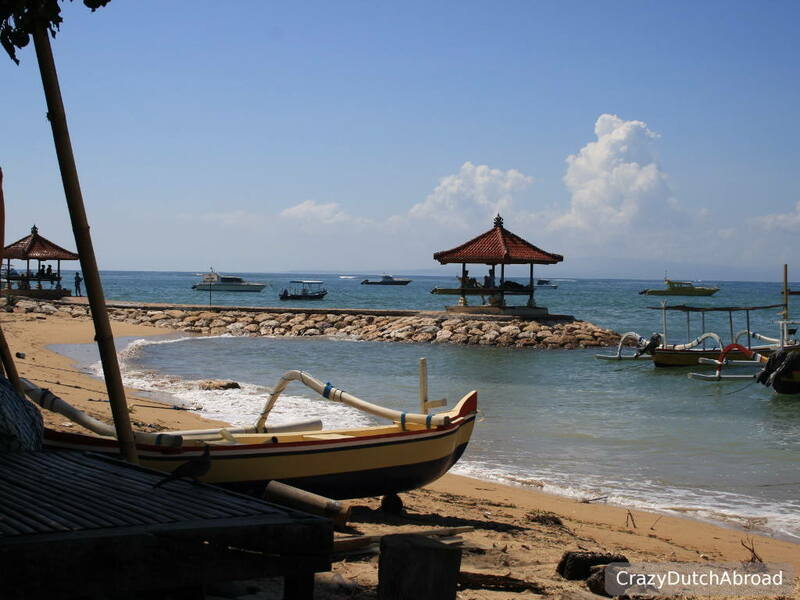 Sanur, Bali: A great place to get comfortable and relax! Sanur has everything for a comfortable stay along the beach. You will find quite a lot of tourists here but it is smaller than Kuta in many ways. Only a handfull of 'Western' franchise shops are located here, like Starbucks and Havaianas, the rest of tiwn is filled with local shops and restaurants. 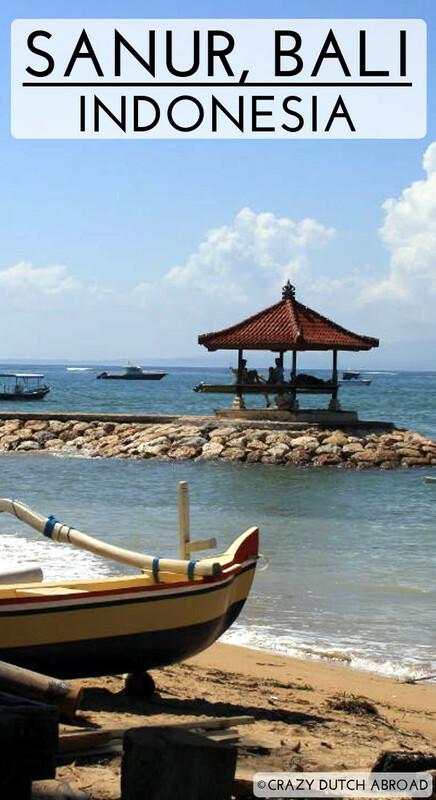 Sanur is great for families and couples that like to get comfortable and relax. The 'strip' along the lovely Jalan Danau Tamblingan which basically runs from Pantai Sindhu (Sindhu Beach) to Pantai Semawang (Semawang Beach) is about 5 KM long and filled with souvenir and clothing shops, bars and restaurants. You will find massage shops, diving centers and motorbike rental as well, easily. It is nice to start-off or finish your holiday here. Along Sindhu Beach you will barely find foreigners except for people using boat transportation. Semawang beach is the opposite. It is great to rent a bicycle. Since it can be quite hot it is nice to get a breeze from cycling, just go slow and avoid the mid-day sun. The best part of Sanur is not the 'strip', it is the boulevard! Jalan Setapak and Jalan Danau Buyan are the two connected streets from Semawang to Sindhu beach. It is a shared road for pedestrians and cyclist, not for motorbikes. Along this road you will find beachfront restaurants, bars and resorts. Beach massages and tours for 'tomorrow' are offered as well. 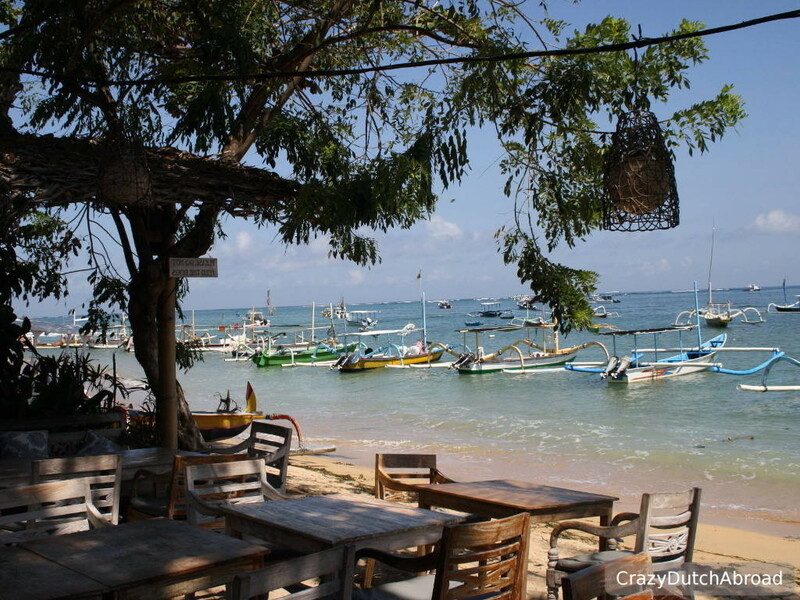 Lilla Pantai is located at the beach and the Indonesian food is amazing! I loved the salads and the gado gado! This is a restaurant and it is really good! We went here for breakfast and came back for dinner. The dishes are huge, so share if you are used to Asian portions, and the taste is simply amazing. Try the 'rijsttafel' here! This is a restaurant I remembered from my last visit on Bali, five years ago, and it is still great! There is a little dance performance in the garden every evening for free which is great while you are dining. It is not a dinner show but a quiet garden restaurant with Balinese dance and music. Try the sate here, it is served in a traditional way! Now this is a spot that can fill up quick, so be aware of that. Take some time to read the funny signs on the wall and have a chat with the chef that will walk around. You can find Warung Baby Monkeys at the end / beginning of Jalan Cemara, just around the corner. This is a hidden gem in Sanur, it is totally different from the rest of town and it looks like a festival area. There are some sort of food trucks with food from around the world lined on the side of the grass and pick-nick tables in the middle. Just order whatever you like and dine all together on one table. Warung Little Bird has a vibe that is like combining reggae and rock. In the evenings the place is packed, it is not a big place. The food is good, the Indonesian as well as the western dishes. Beanbags and draft beer for sunset by the beach. Coconut Bistro, do I need to say more?! In the evenings there is quite often live music, English and Indonesian cover songs. The place is nice for drinking cold Bintangs. It is located at the roundabout where Jalan Cemara changes to Jalan Danau Tamblingan. At the beginning / end of the 'boulevard' along the beach you will find Stiff Chilli Sanur. It is an Italian restaurant serving pizza and many other Italian dishes. They have amazing home made ice cream flavors as well, like ice cream fusion. There are two Lilla restaurants in Sanur with the same menu more or less. Lilla Warung and is located in the Northern part of Sanur on a side road from the 'strip'. Their 'specials' are the dishes you should really try! If you are on a small budget I would recommend Semawang Beach Hotel. It is located close to the beach, shops, restaurants and has a swimming pool and breakfast included. It is a bit outdated but quite cheap. My favorite place was Bali Life Villas. It is a small place with a lovely garden area with swimming pool. The room was big and the bathroom was amazing, like an outdoor shower. It can be quite hard to find and it is quite a walk to the 'boulevard' so I suggest renting a scooter (next to Waring Lilli) or bicycle if you stay there. If you fancy to stay in a traditional Balinese building close to Semawang Beach go to Stana Puri Gopa Hotel. This is a perfect spot if you would like to walk most of the time. There are many fine (and some expensive) restaurants, a lot of massage shops, souvenirs and bars. It is really close to the roundabout where Jalan Cemara changes to Jalan Danau Tamblingan and you will find the beach at the end of the street, a few minutes walking. It is an old hotel but still comfortable and not expensive I would say. Across the street you can have a huge breakfast from the buffet of Artotel Sanur.